I never imagined when I began traveling to Charlotte for work in the spring of 2007 that the city would become a place I could truly call home. A city that, aside from Huntsville, is actually the single location I've lived in the longest. While I've been living and working in Charlotte for roughly six years, the city has truly grown on me over the last couple of years in particular. You may notice a theme here with social-based sports/fitness organizations/opportunities, and this next one is no different. I immediately joined the YMCA when I first moved to town - living near one of the larger, younger locations (the Dowd branch), I quickly stumbled upon their wide range of fitness classes. Athletic conditioning was by far my favorite - harkening back to sports practices (but more fun! ), the class was full of wind sprints, mobility drills, bodyweight exercises, and high-rep weight movements. 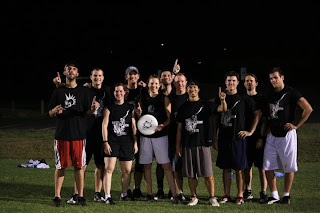 The class kept me in fantastic shape for the one season of elite club ultimate I played while living in NC, and it became a gateway drug of sorts for a future addiction: CrossFit. I also met some incredible people through this class, including my future mud run partners in crime. Speaking of mud runs, Charlotte and the surrounding areas support every type of social-based running you could hope to experience. 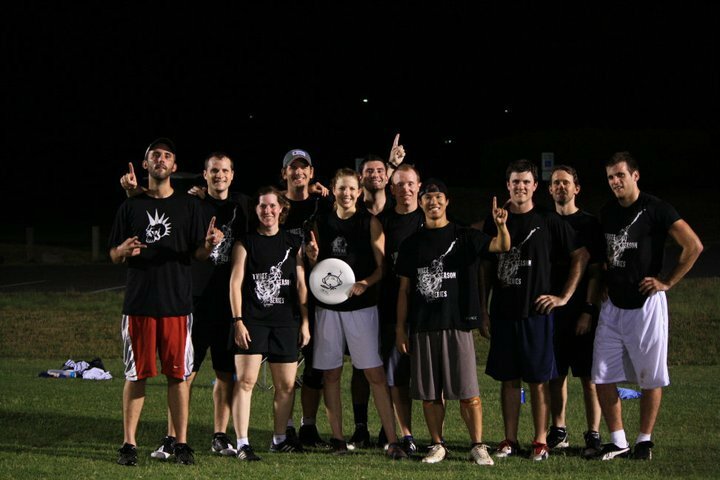 When I first moved to town, I joined a meet-up group that ran a nice four-mile route in the Plaza Midwood neighborhood, finishing up with specialty beers at the Common Market. Lately, the influx of local breweries has led to weekly brewery runs (NoDa Brewery hosts a large group on Wednesdays, and Triple C hosts a newer run group in SouthEnd on Thursdays) in addition to the group runs led by other clubs, gyms, running stores, and (if trail runs are more your thing) the USNWC. There are also regular competitive and fun runs, from the Elizabeth 8k to the River Bound race series, from the Electric Run to the Color Run, and of course, the mud runs. Charlotte hosts its first Tough Mudder this fall (GA and SC have hosted them in years past), but is a frequent host to the Warrior Dash, Spartan Races, and other locally-sponsored runs. The USMC mud run is a semi-annual event held just over the border into South Carolina that has by-far been my favorite of them all. Getting away from the athletics theme for a bit, I had the absolute pleasure of working with the Cystic Fibrosis Foundation, an incredible charity organization in Charlotte, over the last few years as a bachelorette and committee member for their Guys & Dolls annual event. The CFF raises millions annually to support research for life-saving treatments for those affected by Cystic Fibrosis. Approximately 90 cents of every dollar raised goes directly towards research and education programs, making it an incredibly efficient, well-run organization. Guys & Dolls is one of the flagship fundraising events in Charlotte (especially for the young professional crowd), and features a group of 'bachelors' and 'bachelorettes' who spend the months leading up to the event raising money and putting together date packages for live auction on the night of the event. 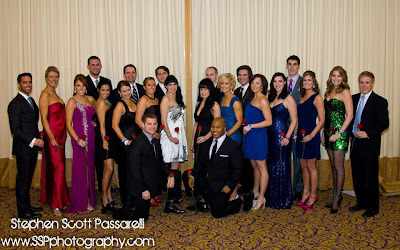 It was an incredibly rewarding experience to be a bachelorette in 2012, and I am so thankful I was able to participate as a committee member this past year. Not only is the CFF an incredible organization and Guys & Dolls an amazingly fun event, but the people involved with the organization are also some of the most wonderful people I came to know in Charlotte. I am so grateful to have been involved with CFF, and I highly recommend you support them and check out their other fundraising events and opportunities! A couple of years ago, I attended the Fight Gone Bad fundraiser with a friend from Athletic Conditioning, jumped in to participate in the scaled version of the workout, and was instantly infected with the CrossFit Koolaid. I had looked into CrossFit over a year prior, but never had been able to justify the cost to myself. A little over two years later, the folks at Ultimate CrossFit have more than convinced me that I made the right decision to join. Now I won't espouse the benefits of CrossFit versus this or that, but I will say that the amazing trainers and members of this gym in particular have taught me more than I could have hoped to learn, shown me how much farther I can push myself, how much stronger I can be. Of the dozens of gyms (boxes, whatever) in town, this was by far the best fit for me, and I'm going to miss my little gym family while I'm on the road! While I haven't been as frequent a rock climber in Charlotte as I have in previous years / cities, Inner Peaks has always been a bit of a sanctuary. Some people take yoga, I tend to go climbing. Inner Peaks was always welcoming, not overly crowded, and the routes were well-set, varied, and changed with enough frequency to keep things fresh, while allowing time for you to work on a project or come back to a favorite a few times. Sarah bouldering while April spots. Although it's only been around for just over a year, South End's Food Truck Friday quickly became one of my favorite weekly activities in Charlotte. Anywhere from five to (more recently) a dozen food trucks will set up shop in the empty lot near Common Market and Phat Burrito from 5 til 11 (or unti the food runs out). Unless you show up early, you can easily plan to spend 45 minutes to an hour waiting in line at the more popular trucks. My favorites? Tin Kitchen's inventive tacos and Papi Queso's gourmet grilled cheeses. And though not technically a food truck, King of Pops was my go-to for a post-meal treat (or two). Whether I went immediately from the gym, drove by after work, or made the brief walk from my condo, I could always count on running into a variety of people, finding someone to chat with, and enjoying an incredible meal. Similarly, the farmer's market in South End became a regular part of my Saturday morning routine. CrossFit, followed by breakfast at Roots-Good.Local.Food. food truck and a cappuccino or pour-over from Not Just Coffee at the farmer's market was always the perfect way to start my favorite day of the week. Plus I could stock up on eggs and breakfast sausage from Windy Hill Farm, whipped and flavored honeys from Cloister Honey, and pick up produce from a variety of vendors. In the last few months, the farmer's market has remained open most days of the week (allowing me to get my gourmet coffee fix during the week! ), but Saturday is still the most happening time to stop by. One last return to fitness-related activities... I began taking Krav Maga entirely to better prepare myself in self defense before leaving on this journey, for just a couple of months, I thought. What I didn't expect was how much I would enjoy it, how wonderful of an instructor I would find, what a set of characters I would meet in class. The things I learned here probably deserve their own post relative to travel safety, but I will say that I am incredibly grateful for all that I did learn, for the confidence it has given me, and for the desire to continue working on and learning new techniques along the way. If anyone does have a desire to learn self-defense in Charlotte, this is hands-down the best place to do it. A post about Charlotte would simply not be complete without mention of my Amazons. My experience in this city would absolutely not have been what it was had it not been for these two incredible women. Initially brought together through ultimate frisbee, a friendship was ignited over cocktails and a mutual love of travel, adventure, and independence. Without these two, without their support, confidence in me, and their own experiences traveling independently, this trip probably wouldn't even be happening. My last night in Charlotte, as we shared treats from Amelie's and discussed exactly how we would be keeping in close contact, we reflected on the previous year, how we had each reached a point where we were frustrated in that we had identified these lofty goals, these dreams for how we wanted to shape the rest of our lives, and we weren't sure how or if they would be able to materialize. 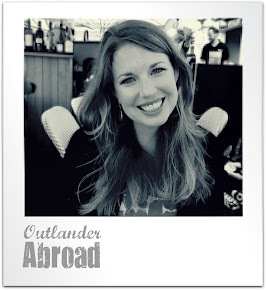 We're now going our completely separate ways to make those dreams a reality: Sarah to Scotland, to pursue a masters in creative writing, a life in publishing abroad; Dre to her new babies, twin blessings, her role as a mother now truly realized and blooming; and me to my wanderings in the far corners of the earth. Honorary aunties with an amazing momma. It's bittersweet to leave this city that I've finally grown to love, these women that have left such an imprint on my life, the activities and events and people who have shaped the person I have become. As I'm off to discover new cities, new activities, new events; meet new people; learn amazing new things about the world, about other people and cultures, about myself; become exposed to things I couldn't have dreamt of; even as all of this is happening, I won't soon forget this place, these people, that have taught me so much.